Teardrop faceted glass earrings look so pretty in the sunlight. I snuggled the beads into antiqued brass beadcaps. 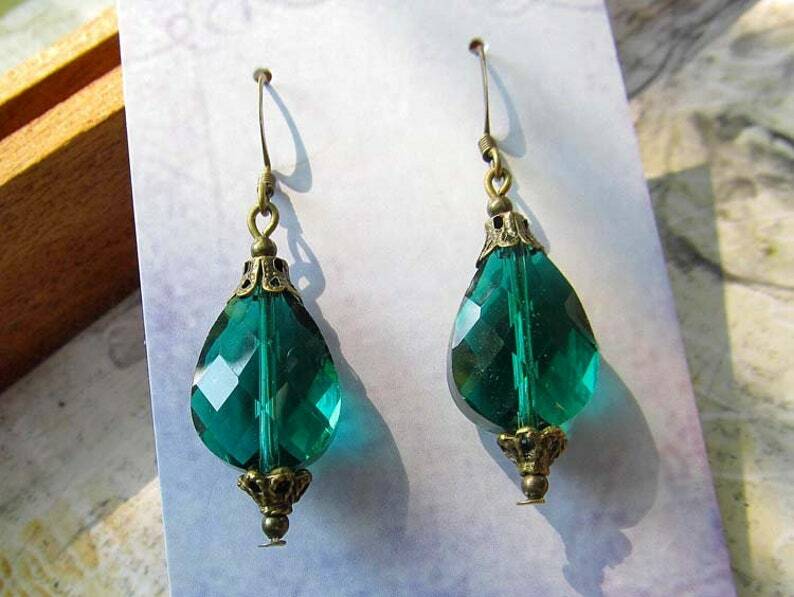 You will receive your Emerald green dangle earrings in a pretty gift box via first class mail.